There was A time when i was scared of being me. Ever felt like an intruder in your own life or work? Many of us don’t end up living the life we had imaged. Sometimes it’s something infinitely more rewarding, but what happens if it’s not? When our outside life doesn’t truly reflect the desires we hold within, we can end up feeling like a strange observer to the life we are creating. Being yes, but not truly belonging. Not truly becoming (or knowing how to become) the person we’re destined to be. WFacing this is hard, we are conditioned to fit in. To count our blessings. To consider other people, often above ourselves. The impact? We mold. We plaster on a brave smile, we remain grateful, we strive to be the perfect example of the roles we are attached to: dedicated worker, supportive leader, reliable daughter, devoted mother, sacrificing partner, stable friend. We hope that one day our ‘silly’ dreams will painlessly disappear. I’m going to get real with you, they won’t. But I know you’re ready to stop hiding. I know you’re ready to finally embrace who you really are. One simple truth... you’re still reading. Mine was finally understanding that life is seriously way too short to be anyone but yourself. Born as an extreme empath, I developed into a shy, observing child. People called me ‘the mute’. I was so engrossed with understandingand helping with other people’s needs, but deeply scared to openly voice the things that I perceived. This left me in a frustrating trap… deeply capable of witnessing and appreciating how others were feeling, but unable to feel confident enough to offer my support. With no real understanding of my empathic sensibility, I transitioned into adulthood with little sense of who I was. This drew me into situations that didn’t fully serve me. After marrying the wrong man at 18 years old, the opportunities for me to freely explore my unique skills and abilities became very limited. Self-doubt and confusion took over, and I spent many years feeling like I would never be capable or good enough to pursue my deepest dreams. But truth and hope always have a habit of finding their way back to us. This relationship gave me my four beautiful daughters. It also pushed me to find myself within a different container… my career. 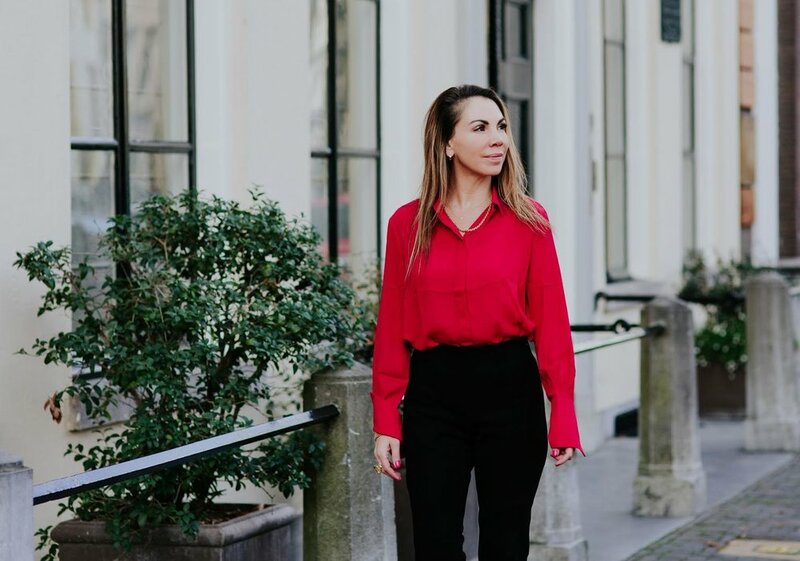 The corporate world offered a structured way to develop my confidence, which slowly brought me out of my shell – sharing opinions and allowing myself to be fully seen and heard. My ability to empathiseand support others became a regular point of praise, and I finally started to understand that these were skills to be joyfully developed, not ones to shy away from. I hesitantly, but intuitively went down the rabbit hole of self-exploration, and put myself forward for training opportunities that allowed me to learn how to harness my skills to inspire those around me. Staff coaching and learning development gradually became my dedicated career. It was something that felt so deeply right, and something I was naturally good at. When we find the thing we’re meant to do – the life we’re supposed to live – it becomes much easier to see the things that have to fall away. After gaining the confidence to leave my husband after 17 years, I moved into a period of life that I call my ‘rock bottom’. Having to also process the death of my father at the same time, I fell into a state of mind that was emotionally destructive. Self-hate took over. The part of me that was becoming more deeply self-aware, attacked the part of me that ‘allowed’ my life to fall apart around me. I resented myself and the people who I thought had taken too much from me. I mocked myself for thinking I was capable or skilled enough to pave my own path. I told myself I had no self-respect and things were all my fault. I felt all the feelings, all at once… anger, bitterness, loss, desperation, grief, confusion, distrust. I was so engrossed and overwhelmed by this rollercoaster of emotions, that I honestly do not clearly remember the journey through this mist. I do know that friends and loved ones became an important crutch, and I finally allowed myself to be properly supported – something that empaths and highly sensitive people can often struggle to do. Gradually, step by step, the self-awareness and confidence that had started to form before my separation, came back into my heart. I began to remember who I really was, and slowly I started to hear (and believe) what my heart told me. This enabled me to rekindle my relationship with my intuitive and empathic skills; tools that brought the truth of myself, my life and my environment back up to the surface. I found the strength to throw myself into single-parenting, to respect and prioritisemy spiritual practices and put myself forward for career opportunities that my younger self always dreamed of. Faith and trust in myself and life now guides each of my decisions, including one to follow the man of my dreams into the unknown land of the Netherlands. But that, my lovely, is a whirlwind story for another day! I’ve now worked for over 25 years in the coaching arena, fulfilling many rewarding and life-changing positions such as Company Coach, Training & Coaching Manager, Learning & Development Manager and HR Business Partner. This gradual, but consistent owning of my own vulnerability has lovingly and expertly taken me to the place I know I’m supposed to be: running my own coaching business. I now do work that I believe is my own soul’s calling, supporting empaths to cultivate a loving relationships with themselves so they can embody their true nature, embrace their gifts and make their dreams a reality. To find out how I can support you through this empowering and life-changing chapter, come on over here.